The Speller Apartment is located in the heart of Vysoky Ujezd, Czech village dating back to the 14th century, right in front of a 19th century castle. 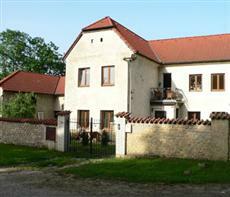 This Czech Apartment resort offers convenient price accommodations in Vysoky Ujezd, within 25 km of Prague. On-site facilities include wireless Internet access in the entire property, garden, parking facilities and shuttle service to the airport.